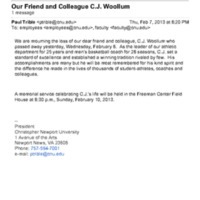 An obituary for Mary Daniel, retired head of the library's reference department. 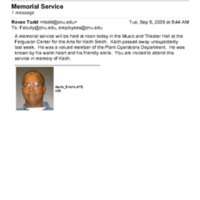 Obituary for a retired long time member of the library staff. 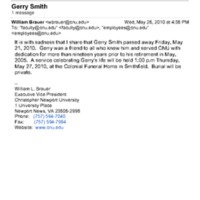 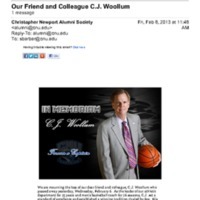 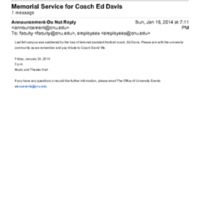 An email announcing that Gerry Smith, a retired CNU employee, has died. 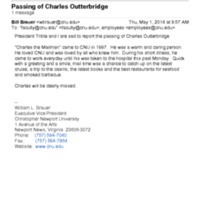 An email announcement of the death of Charles Outterbridge.